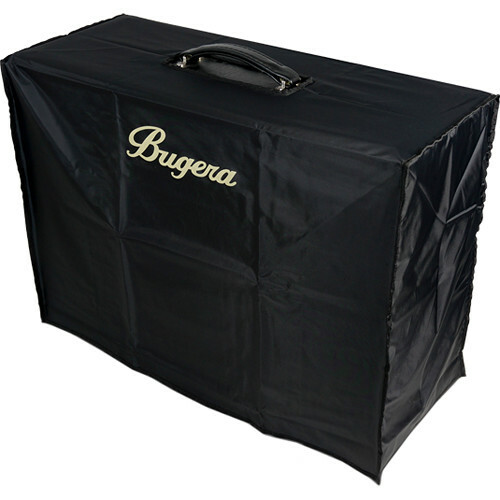 Styled in black, the 212TS-PC from Bugera is a custom-fit protective covering designed to protect the 212TS Guitar Cabinet from dust and moisture. It sports a tailored opening, specifically sized to access the 212TS's carry handle, and thus, facilitates convenient transport. This protective covering is fashioned from durable nylon. Box Dimensions (LxWxH) 10.9 x 9.2 x 1.0"
212TS-PC High-Quality Protective Cover for 212TS Guitar Cabinet (Black) is rated 4.0 out of 5 by 1. Rated 4 out of 5 by napkinsingh20 from Bugera 212TS-PC Cabinet Cover This thing protects the cab as well as the amp head covers the amp head! Didn't expect any less! My only complaint is that it took a long time to arrive since it was on back order.